Adam Zucker - J. Goldman & Co., L.P.
Adam is responsible for coverage of the software and video game industries. Adam joined JGC in 2001 and became a Partner in 2017. 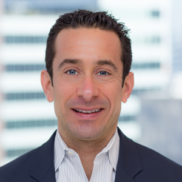 Prior to joining the Firm, Adam was an Equity Research Associate at Morgan Stanley from 2000-2001 and was an Investment Banking Analyst at Goldman Sachs from 1997-2000. Adam attended The Wharton School of the University of Pennsylvania and graduated with a B.S. in Economics with a concentration in finance.